Johnny McCaffrey has today announced his retirement from the Dublin Senior Hurling team. Johnny enjoyed success at underage with Dublin, winning Leinster titles at Minor & U21 in Hurling. He then enjoyed over a decade of inter-county hurling with our senior team, during which he won a Leinster title, a National League title & 2 Walsh Cup titles. 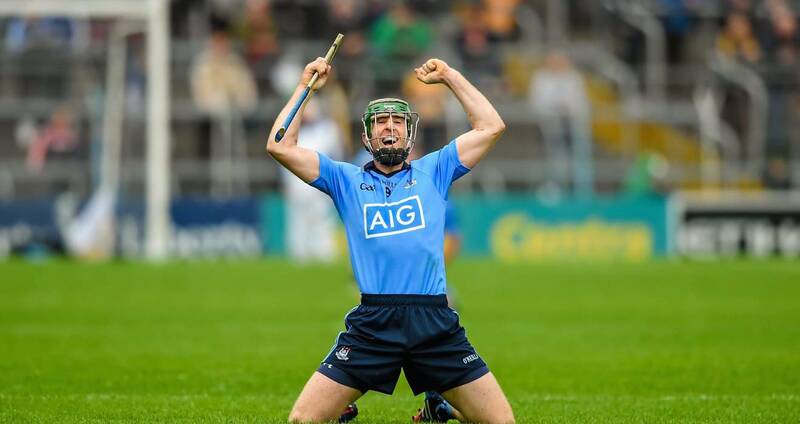 I would like to announce that I am retiring from the Dublin senior hurling team. I feel very fortunate and lucky to have represented Dublin since I was 13 making my senior debut in 2006. I would like to thank Tommy Naughton for giving me my debut. I would like to thank Anthony Daly and his management team for giving me the massive honour of captaining my county for 4 years, making history along the way. We in Dublin hurling owe a lot to Dalo for getting us back competing at the top table. I would also like to thank Pat Gilroy and his management team for the work they did over the last 12months in getting Dublin back on track. I was very lucky to have played with some of the best hurlers that Dublin has ever produced. I made some great friends, won silverware and created memories that will last us a lifetime. I would like to thank my club Lucan Sarsfields for supporting me through my inter county career and look forward to focusing my full energy on the club from now on. I would like to thank my family especially my parents Sandra and Sean and brother Matthew without their support and encouragement over the years through good times and bad none of this would have been possible. Also a special mention to my Nan who was my no1 supporter. I want to thank my wife Paula Jean for her unwavering support and understanding in helping me be the best player I can be. Finally I want to wish Mattie his management and all the players the very best for the 2019 season. I look forward to supporting you all the way. Cheers Johnny. Up the dubs. Everyone in the Dublin County Board would like to sincerely thank Johnny for his loyal service & hard-work in the name of Dublin GAA, and we wish him all the best for the future. UpThe Dubs!